A jogger had to jump for her life out of the way of a speeding motorist who was trying to shake off pursuing Gardai. Patrick Brown reached speeds of more than 140kph while being pursued on the outskirts of Letterkenny last October. 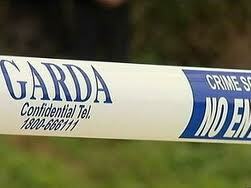 Brown, 30, was spotted driving a Vauxhall Vectra at speed by Gardai who pursued him with their siren on. Brown, of Station Road, Carrigans, , who was charged wiht dangerous driving, drove through Illistrin and Ramelton before becoming stuck behind a trailer and eventually being caught. During the high-speed pursuit, which happened around 9.30am he drove past a school and a lady jogger also had to jump out of the way to avoid him. Letterkenny District Court heard how Brown had panicked because he realised he had no insurance for the car. Judge Paul Kelly said the only reason he was not going to jail was because he had no previous convictions. “I see plenty of these cases where people put other people and Gardai in considerable danger to evade justice. “It only ever makes matters worse and one day I will be sitting here when someone has lost their life. “He drove past a school and he was just lucky it was 9.45am and there were no parents or children around,” he said. Judge Kelly ordered a Community Service Report and adjourned the case until April 3rd.